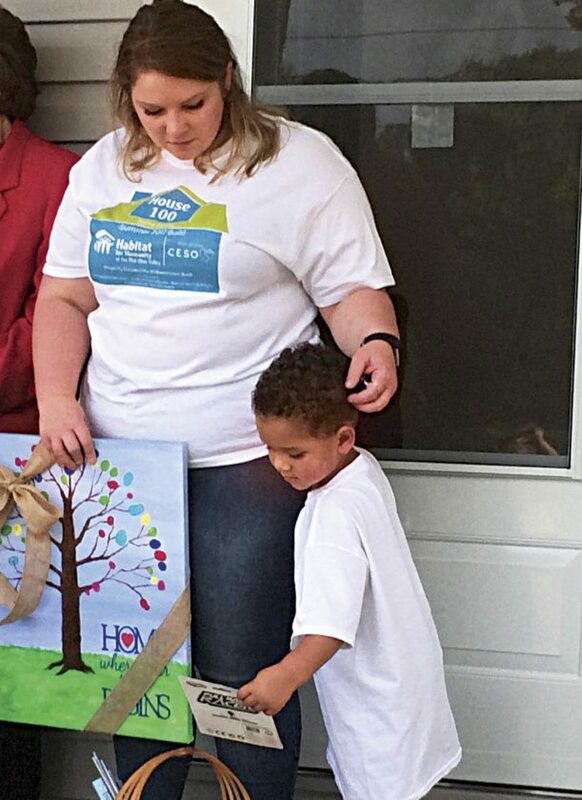 Photo by Brett Dunlap Habitat For Humanity of the Mid-Ohio Valley dedicated its 100th house Sunday in Williamstown. Over 100 people attended the ceremony which presented the keys for the home to Ashley Sams and her son Jissai. 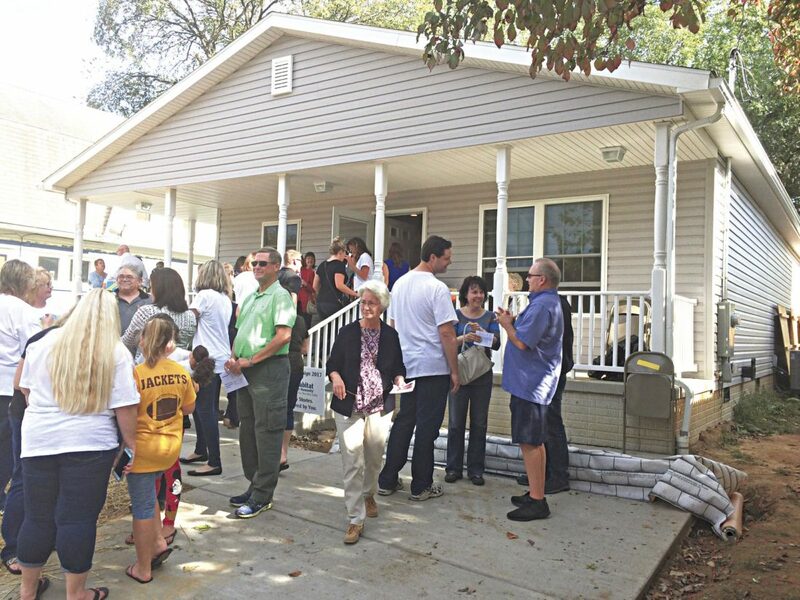 WILLIAMSTOWN — A Williamstown family will be moving into their new home, the 100th home built by Habitat For Humanity of the Mid-Ohio Valley. Over 100 people attended a dedication ceremony Sunday at the home, located at 815 West Fourth St. in Williamstown. The house, the first built by Habitat in Williamstown, will be the home of Ashley Sams and her son, Jissai. “I am thrill our first house in Williamstown is also our 100th house,” Executive Director Alvin Phillips said. “The generosity of this community is amazing. Photo by Brett Dunlap Ashley Sams and her son Jissai received a painting from the Williamstown Public Library and a basket of books from Alpha Delta Kappa during the dedication of the 100th home built locally by Habitat For Humanity. Work will be wrapping up on homes 98 and 99 with in the next couple of weeks, officials said. 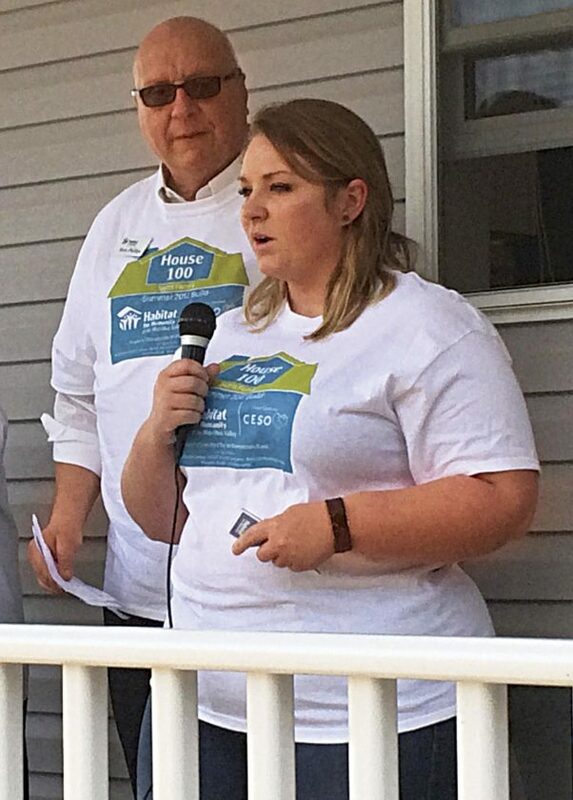 Habitat For Humanity MOV will be completing five homes and starting two to three more in the next 12 months, with homebuyers who have partnered with the organization by providing sweat equity hours. They have met all of the requirements of home ownership and each will pay a manageable mortgage payment with no interest on their loan. “It is really an exciting time for all things Habitat,” Phillips said. Sams will be signing her paperwork today to become a homeowner and there will be a mortgage on it. “She will be paying for this house for the next 20 years,” Phillips said. He looked back over the 100 houses that have been done and what it took to get them done. “Through the years, we have had so many supporters and sponsorships,” Phillips said. For the home in Williamstown, CESO, the major sponsor of the house, contributed $25,000 and many hours of labor towards the construction. The land for the house was donated by Williamstown Bank. Major building materials donations were made by ACME Panel and Beacon Roofing Supply. Other supporters included West Virginia Central Federal Credit Union, Peoples Bank and Erie Insurance. The City of Williamstown, daVinci’s Restaurant and Ascent Resources were recognized for providing extraordinary support and services during the construction of the home. In addition to support, many of those groups were able to provide workers to help in the build. “Obviously, we need a lot of volunteers,” Phillips said. “We are excited for Ashley. 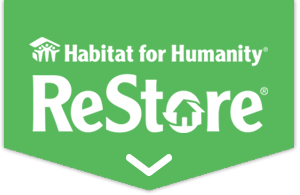 The 101st house will be in Belpre, also a first for Habitat. Sams was very thankful for all the support she got through the process of building. “This is a dream come true thanks to Habitat and the hard works of many volunteers over the past six months,” she said. “I am grateful for this opportunity to have to have my own home to raise my son. Sams talked about being a statistic, the kind of person who would not qualify for home ownership under normal circumstances. Habitat boardmember Carolyn Garrity presented Sams with the keys to the house and a Bible. Senior Stitchers provided blankets to the family. Alpha Delta Kappa provided a basket of books. The Williamstown Public Library presented the Sams with a painting made by children from the community to have in the house. Habitat officials praised the city of Williamstown for being there and helping. Mayor Jean Ford commended the work that brought another family to their area. “God has surely blessed all of the contributors and all the volunteers for Habitat For Humanity,” she said. “We are so blessed here in Williamstown that we have the 100th home.